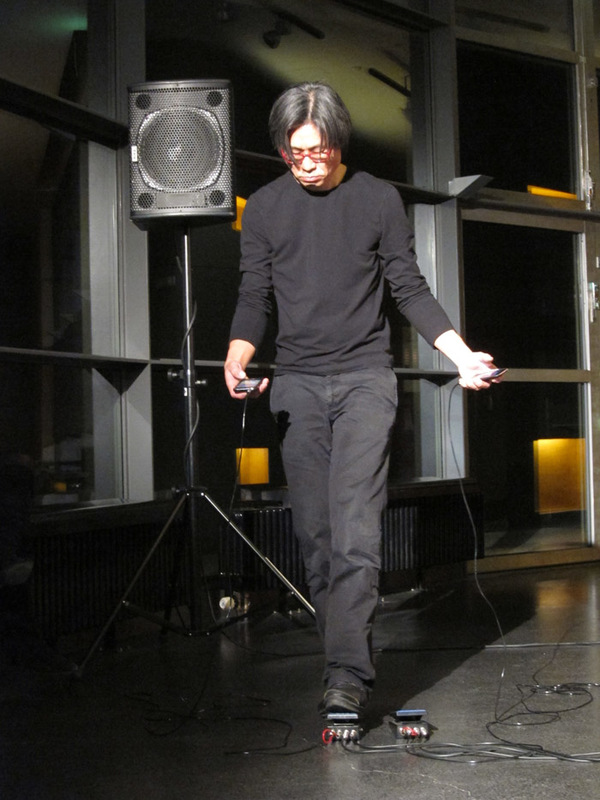 Atau Tanaka (featured in the photo above) performed with Adam Parkinson in Kiasma lobby on Wednesday, as a part of Äänen Lumo festival for new sounds. The festival is a welcome addition to Helsinki scene, after Avanto festival finished its activities a couple of years ago. Meanwhile, Atau's instrument has changed from Biomuse (muscle tension sensors connected to a computer) to two iPhones. 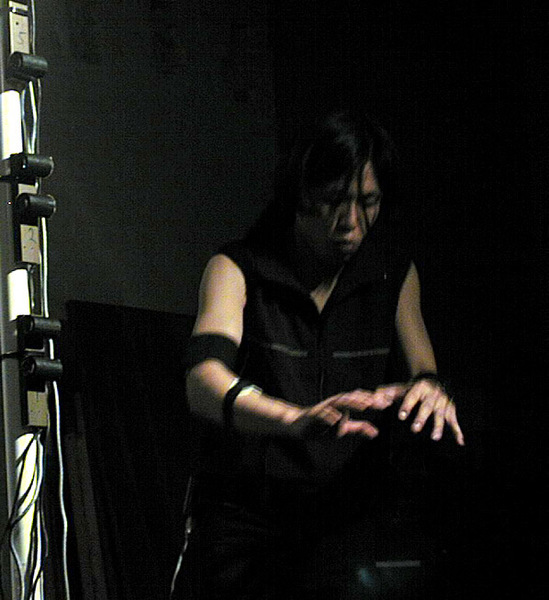 In the concert, Atau and Adam utilized RjDj, an application which turns iPhone into a versatile instrument. The instrument setup can be designed with Pure Data and iPhone accelerometers (which measure the tilting speed of the phone in two directions) can be used to control certain aspects of the sound. Äänen Lumo festival will continue this weekend, featuring this afternoon the concert of the British duo snd and Tony Buck & Magda Mayas.